As summer approaches, so does our need for sun protection. Be safe this summer and wear an SPF of 30-50. Reapply every 1-2 hours and wear sunglasses, hats, and sleeves. Skin cancer is a very real, very dangerous and aggressive disease. I offer NAAWK brand sunscreen that is more natural, smells better, feels less greasy, and will improve your tan instead of make it fade faster! 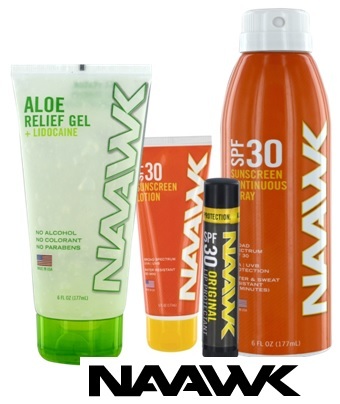 Just 1 week left for 20% off NAWWK sunscreen!